1.11.08 5:00 p.m. ET – – VOTING IS NOW CLOSED. We have been blessed with some terrific voice over talents willing to share their abilities with us on our unofficial, unsanctioned and possibly unholy quest for a new announcer for NBC Nightly News with Brian Williams. Of course, if NBC takes my original advice and gets Michael Douglas back into the voice over booth with proper vocal direction, he’ll surely nail it the second time and we’ll all be back selling pencils on the street corner. Rule 1 â€“ Please listen to all the voices here (its a faster loading page now for more enjoyable listening). Not just because it’s polite but because as maybe the one person who has heard all of them, especially from names I was not initially familiar with, I don’t want you to miss the joy that I’ve had of discovering some new talent. Rule 4 â€“ Please vote only once. If you have so much time on your hands that you can vote more than once, you’ve got business or family problems that require your immediate attention. Rule 5 â€“ Please order your choices as best or first (1st), gooder or second (2nd) and good or third (3rd). I will tabulate all the scores and announce the final top three finishers, with prizes to be determined by how reasonable or ungodly high my Christmas bills turn out to be. Rule 6 â€“ Voting takes place right here in THIS blog post within the comments section below only. It’s up to you if you want to be anonymous or not but I’m only giving you three choices so your friends shouldn’t hold it against you if you don’t vote for them. If they do, get new friends. 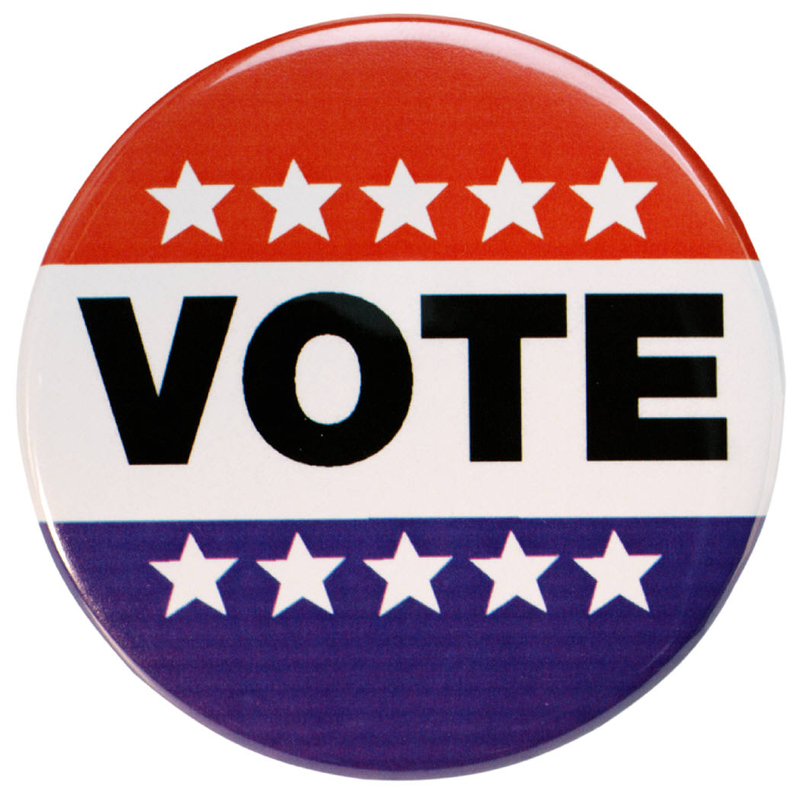 Go vote and tell all your friends, the polls are open! P.S. If you haven’t already SUBSCRIBED to this blog, hit the orange subscribe button at the top of the blog. If you need to get a blog reader, this is the FREE and easy one I use. P.P.S. 12/30/07 – This evening I received a call from a voice over friend of mine who is watching the voting here with great interest and enjoyment. He said he wanted to make it even more interesting and asked if he could donate a prize. I said that wasn’t really necessary but he cut me off and shut my mouth when he said the prize was a MXL 008 Large Gold Diaphragm USB Condenser Microphone. He wants to remain anonymous (what a character!) So this prize will be included to one of the top three vote getters. What a gracious and unexpected donation, thank you! If you are a voice talent in this voice-off, right about now would be the time I’d start contacting friends, family and anyone who owes you a favor to LEGITIMATELY place their votes. The voting will be open for at least another week. BUFFALO, New York, December 27, 2007 – – With over 60 nominations submitted by professional voice talents in just four days, audio’connell Voice Over Talent president and professional voice over talent Peter K. O’Connell has opened to the public the voting process to select the “unofficial” winner for his company’s completely unofficial auditions for the announcer’s job on NBC Nightly News with Brian Williams. O’Connell joined a chorus of voices on the web who were disappointed by the vocal performance of well respected actor Michael Douglas, the network’s new choice for the announcing position on the program. Proposing a solution, O’Connell posted a completely unofficial open casting call on his voice-over company’s blog – voxmarketising.com. The call garnered over 60 submissions from voice over talents around the globe, all reading the news program’s introduction script with the show’s theme music. Almost 100 responses/votes have been posted on the blog to date, including the donation of a new USB microphone as a prize by donor who requested anonymity. The auditions can be heard on the audio’connell Voice Over Talent’s blog site – http://www.voxmarketising.com – or accessed through the company’s web site – www.audioconnell.com/NBC. Voters are requested to pick their top three choices from the submitted auditions, ranked in order of preference. Complete rules are listed on the blog. audio’connell Voice Over Talent is a worldwide voice over talent service featuring professional male and female voice talents specializing in commercials, character voices, corporate narrations, voice imaging, podcasts and messaging on-hold (MOH) created for advertising agencies, media and broadcast production companies as well as both large and small businesses around the world. The company also operates Voice Over Workshop (http://www.voworkshop.com/) to provide professional voice over training to novice and experienced voice talent around the world. BUFFALO, New York, December 24, 2007 – – The introduction of a new announcer for NBC Nightly News with Brian Williams has left some viewers and voice-over professionals scratching their heads. That includes the President of audio’connell Voice Over Talent and professional voice-over talent Peter K. O’Connell. So O’Connell posted an unofficial open casting call to the voice over world, accepting audition “alternatives” for the Nightly News announcer. The auditions are posted on his company’s blog (www.voxmarketising.com). In less than 24 hours in the midst of the Christmas holiday, there have already been over 20 auditions posted, with more auditions coming in every hour. Information on voting can be found by clicking HERE. audio’connell Voice-Over Talent is a worldwide voice over talent service featuring professional male and female voice talents specializing in commercials, character voices, corporate narrations, voice imaging, podcasts and messaging on-hold (MOH) created for advertising agencies, media and broadcast production companies as well as both large and small businesses around the world. The company also operates Voice Over Workshop to provide professional voice over training to novice and experienced voice talent around the world. UPDATE: As of 12/27/07, the nominations/auditions are now CLOSED! Thanks everyone…join us in the voting here. As you’ll recall, I put out an unofficial open casting call for auditions (that link is also where you can find the Nightly News theme music)for the announcer position on NBC Nightly News with Brian Williams. To following are the submitted audition (in the order they were received) for your listening pleasure. Thanks everyone for participating. NOTE: A FASTER LISTENING PAGE HAS NOW BEEN SET UP ON THE AUDIO’CONNELL VOICE OVER TALENT WEB SITE – LISTEN TO ALL THE AUDITIONS HERE! 12/27/07 – THE AUDITIONS/NOMINATIONS ARE NOW CLOSED. Thank you all. Look for our voting post HERE! I’m not one to find a problem or an issue with something without trying to also come up with a solution. “Don’t be part of the problem, be part of the solution” is how I try to look at it. With that in mind, I recently wrote about how much I disliked Michael Douglas’ read for the open of NBC Nightly News with Brian Williams. As an actor, director and producer, Douglas is a tremendous talent. But for this particular read, he was awful. There are many people who share my opinion. So it is with a solution in mind that I request your help, your participation in casting a voice talent to replace Michael Douglas (and fast!). –> HERE is the NBC Nightly News theme for you to use in your audition (not for commercial purposes). This is open to men AND women BUT only serious takes, not your dog or your mother or your two year old (although my daughter COULD do a better job than the current announcer). I’ll post all entries here on audio’connell Voice Over Talent’s voxmarketising blog and notify NBC that they are here for their review. I’m not promising anyone a job but if you get it, you’ll owe me a very expensive dinner. And below is the NBC Nightly News theme (again). Monday evening NBC Nightly News with Brian Williams debuted its new announcer for the show’s open. They teased in blogs how they were going to debut the new voice (a voice well known to many) to replace the recorded voice of Howard Reig who had retired two years ago. I watched with eager anticipation the Nightly News open, remembering with fondness how blown away I was by the use of Walter Cronkite’s voice when Katie Couric took over the CBS Evening Newsâ€¦that was so brilliant and subtle, it was perfect. NBC News’ choice â€“ Michael Douglas. My response â€“ What theâ€¦? I have no idea, not one clue as to why somebody at NBC News would think Michael Douglas would be considered the perfect voice to introduce the network’s flagship broadcast. He sounded dull, lacking authority, bad. I didn’t immediately recognize the voice when I heard it so where’s the celebrity value in that? Mind you, as an actor, producer and director Michael Douglas is an impressive professional. And as a voice over in some commercials, he has sounded great. He is very talented! But for the open of NBC Nightly News, he sounds terrible. I’m not the only one who didn’t like the choice either. Is that “New York” he tried to say? Nooz?! Didn’t anybody ask for a re-take? Who directed the session? Make no mistake, I am not gunning for the job, I’m not bitter that Steve Capus over at NBC News didn’t call me for the recording. But this news operation has had so few mis-steps amongst anchors changes, budget cuts, merging of its cable new operations, new sets etc., that this stupid choice (in my opinion) for an announcer sticks out like a sore thumb. So let me take a quick voteâ€¦don’t vote for yourself and don’t vote for me but tell me who you think would have made a tremendous choice for the announce job at Nightly. I can think of three or four voices right off the bat. But let’s discuss this (oh and you can tell me how wrong I am to not like the Douglas choice too). P.S. Wow, look at the comments on the NBC Nightly News blog. The Douglas choice is a bomb…and this is the guy Brian Williams wanted as his announcer?! Ooops!!! !